UNDER fire rapper Tytan has shared a cosy picture with his wife Olinda amid an infidelity storm involving him and another woman who posted messages of the two flirting on social media. 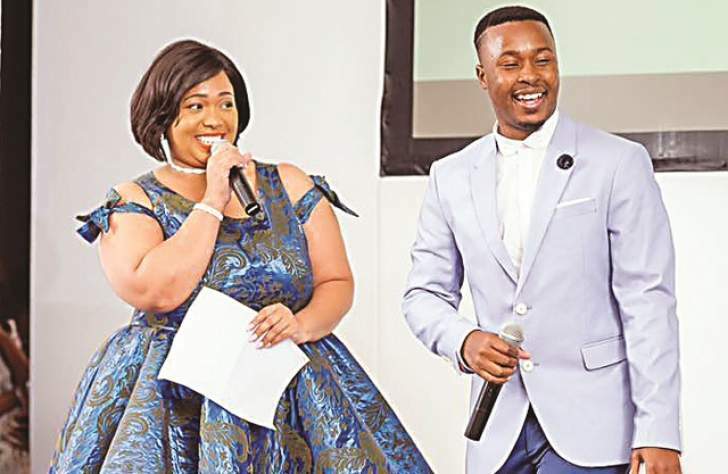 Barely two months after tying the knot at a private wedding, Olinda and Tytan are weathering infidelity accusations. It seems that the unidentified woman decided to share their lurid conversations on social media last week. Surprisingly, Olinda – upon seeing screenshots of the conversations – did not go haywire and rant on Facebook live like she did with Stunner. Instead, she chose to find it in her heart to forgive Tytan and move on. "Rather than rant about @tytantheone we will get through this. It's not the end of the world. Everyone flirts . . . hell I was flirting with the KFC guy just to get a little extra chicken and free dips. Unfortunately you flirted with someone that was recording you and keeping a file and you fell for it. Wanzwa butter and I hope you have learnt your lesson the hard way. "But we can't end a very deep and meaningful relationship based on trivial matters. I know you love me whole heartedly and I want you to know I love you deeply. We ain't going anywhere end off?. Pandakwira handidziki (I won't let go) not this time." Tytan yesterday shared a picture of the couple in the pool captioned, "Yeah our phones are waterproof #thenkomos #progressisamust #skhokho". Fans encouraged Tytan to do right by Olinda because she has been through a lot. "You are meant to love and protect her so obviously entertaining people who clearly hate your wife to that level was wrong on all levels, but we all make mistakes and learn from them. "Keep loving her, at the end of the day that's what matters. Love wins, always! All the best for the two of you," said Thaka Mahlasela on Tytan's post.